LIGHTHOUSES, LOBSTERS...AND WHAT THE HELL'S A STUFFIE? 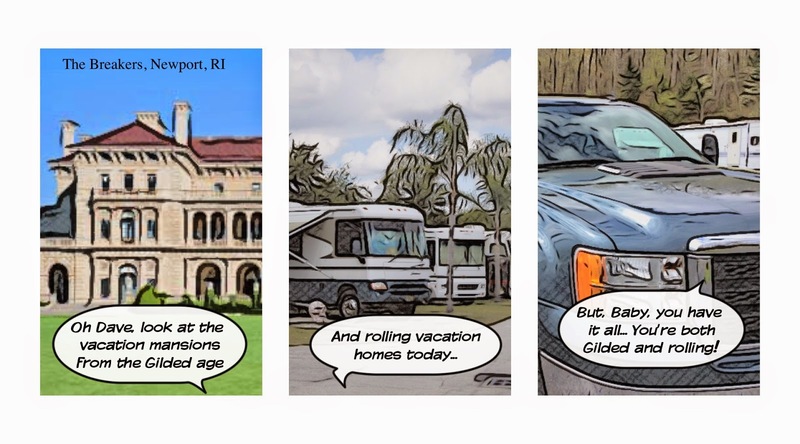 It only takes a couple of hours to drive from Clinton, Connecticut to Newport, Rhode Island. 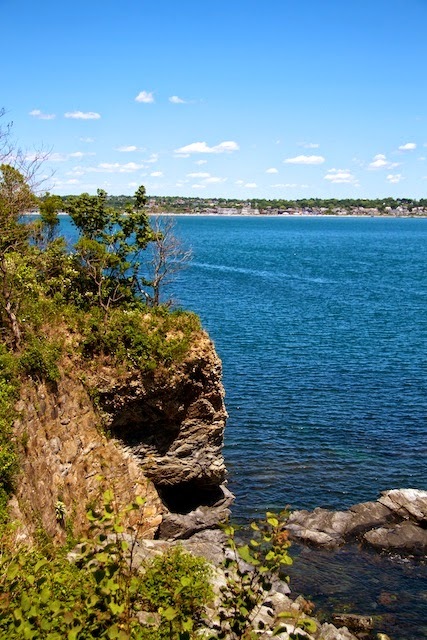 The Paradise Park RV Campground is just a few miles from Newport in Middletown. It’s a neat, small, grassy campground with full hook-up, good WIFI and no other amenities. The daily rate is on the high side and they charge $8 per day extra if you plan use your electric water heater. We opt to use our propane. It’s been awhile since we’ve used gas to heat our water and the pilot fails to light. But Chris goes all MacGyver with a toothpick, unplugs the valve and we have hot water! 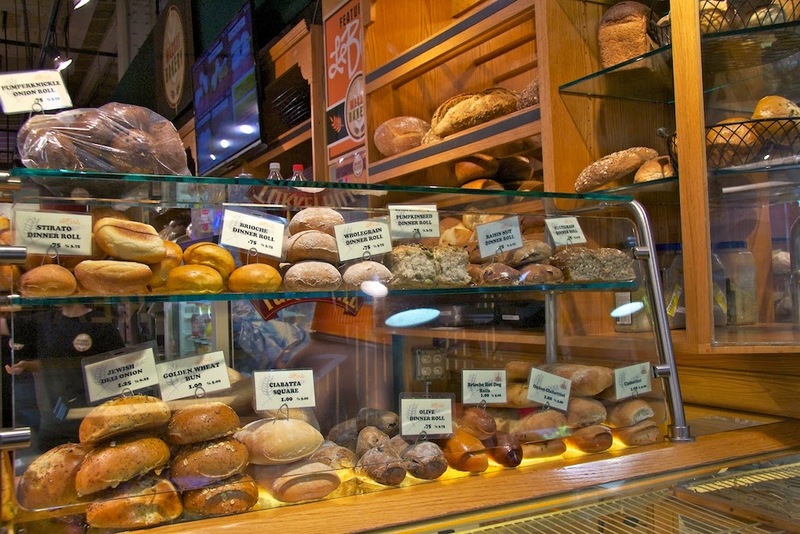 When checking in we get the 411 on local attractions and the best restaurants to sample the local delicacies. 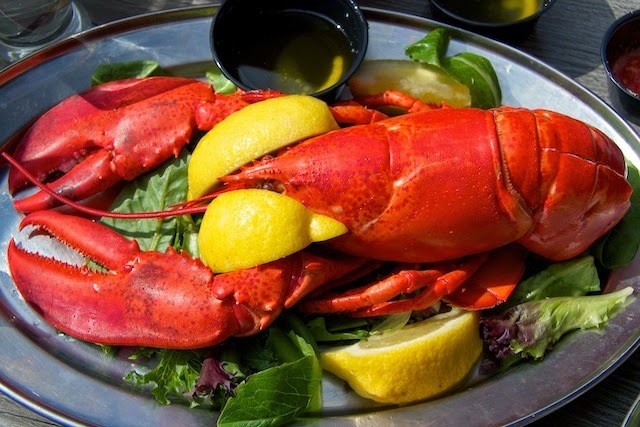 (Translation: Lobster, Clams and Stuffies – a Rhode Island delicacy) Once we get situated we check out our handy Urbanspoon app and head over to Anthony’s Seafood. Anthony’s Stuffies (a Quahog - pronounced Ko-hog - clam stuffed with chopped clam meat, chourico, onions, peppers, bread stuffing and spices) and Kung Pao Calamari (Fried squid rings with hot peppers, plum chili sauce, peanuts and scallions) were featured on Diners Drive-ins and Dives and if it’s good enough for Guy… well we have to try it! 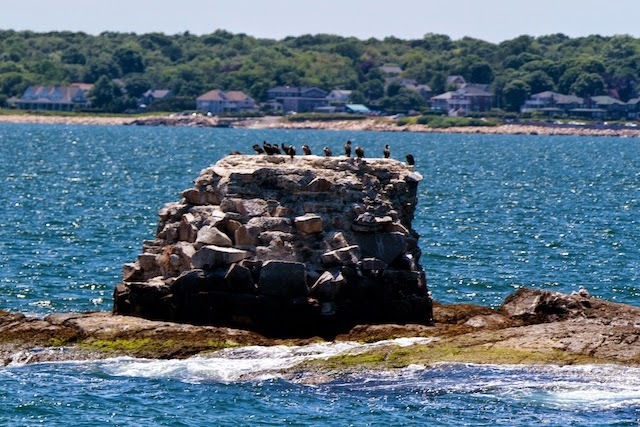 In Newport we stroll the Cliff Walk along the eastern shore. 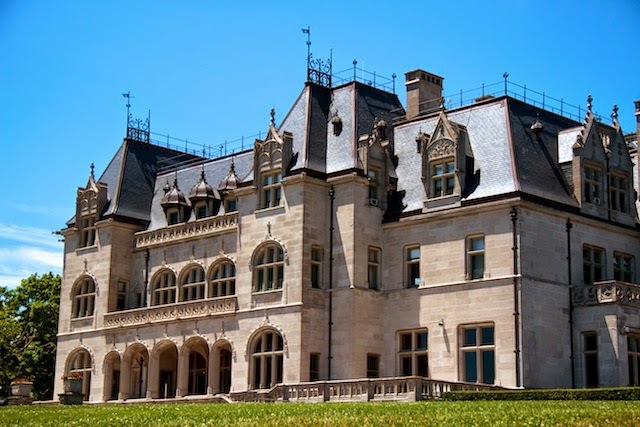 This world famous public access walk combines the natural beauty of the Newport shoreline with the architectural history of Newport’s gilded age. It is a National Recreation Trail in a National Historic District. To the east - cliffs and ocean and the western side is lined with the excessive mega mansions of the uber rich from the nineteenth century. It’s a delightful way to spend a sunny afternoon. 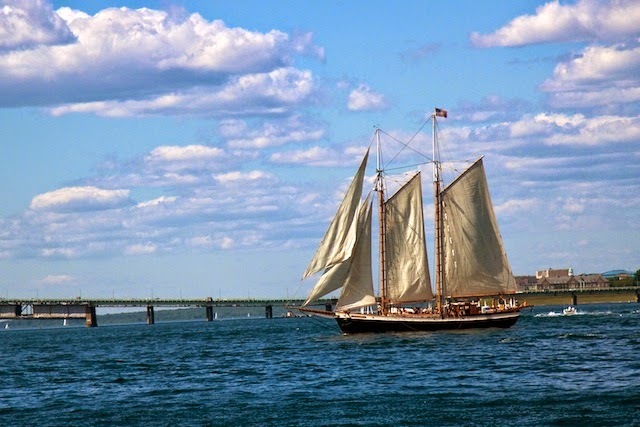 We drive along the ten-mile scenic route and stop at Fort Adams, the largest and most complex fortress in North America. Our timing is perfect to catch a guided tour through the fort. Our guide is a quintessential New Englander with the dry wit, attitude and accent. We tour the public areas of the fort and venture behind locked doors and gates to: view the officers quarters, Ascend to the scenic overlook for great views of Newport Harbor, Learn about current and future restoration and finally descend into the labyrinth of underground tunnels beneath the walls of the fort. Afterward we are awarded a Fort Adams Tunnel Rat Patch as a memento. 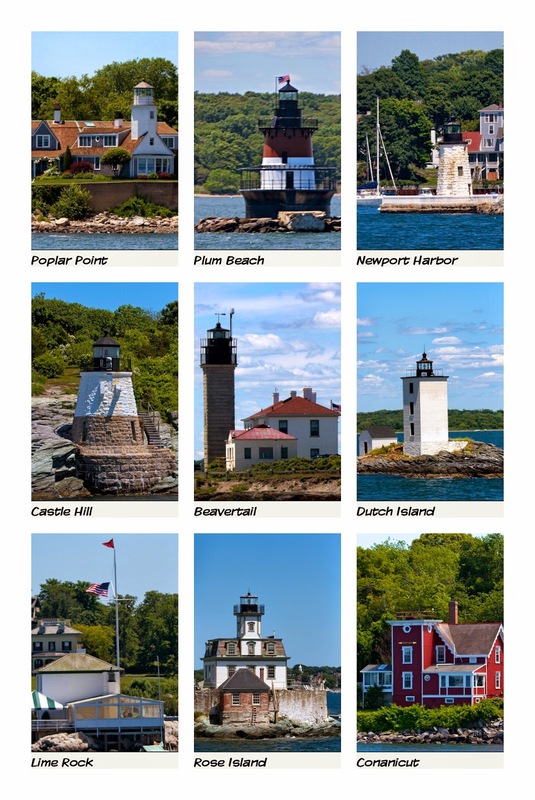 You can’t visit Rhode Island without viewing lighthouses so we book a Rhode Island Lighthouses & Newport Harbor Tour. While waiting in the queue we strike up a conversation with another couple. They mention that they are staying at a local campground and we ask if they have an RV. 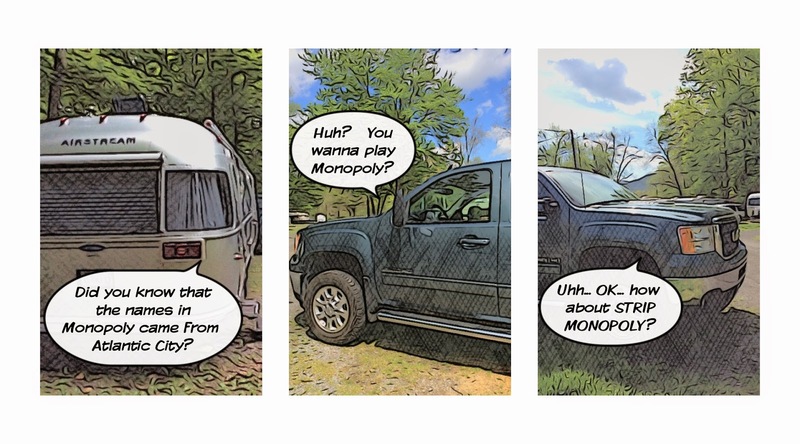 “No” the woman replies, “We have an Airstream.” So until we board the conversation revolves around the shiny trailers and places we’ve traveled. 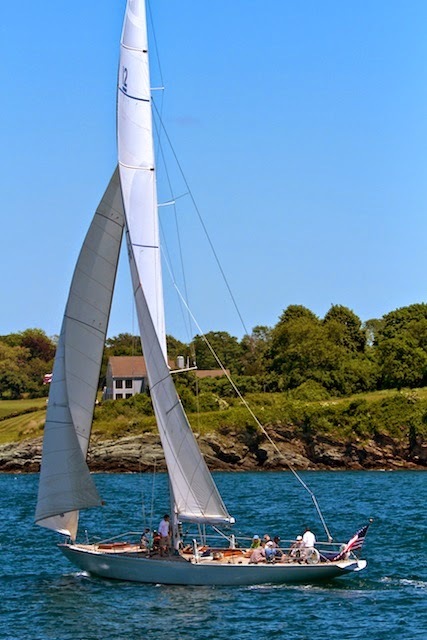 We board the Millennium, a high speed jet propelled catamaran and cruise the Narragansett Bay and Newport harbor. The thirty mile narrated voyage takes us past islands, mansions and ten lighthouses. (Well, nine lighthouses and one rubble foundation.) 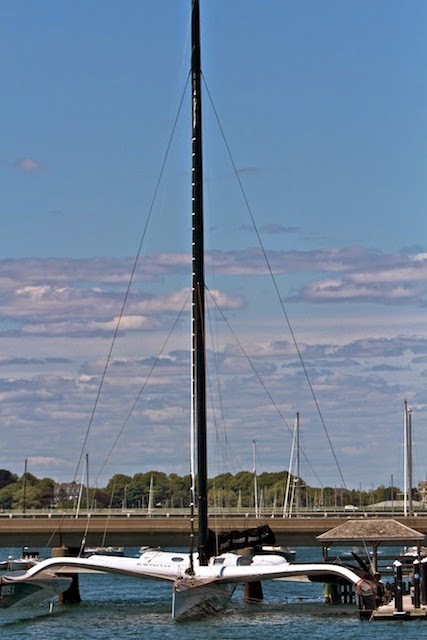 It’s a gorgeous day and lots of folks are out on the water, the Columbia (Winner of the 1958 America’s Cup) sails past us along with boats of various sizes and shapes, Tall Ships to Jester Dinghies, it’s a sight to behold. We also pass the Spindrift II – an ultra modern high-speed trimaran that looks like a floating Klingon war ship. Lots of pics on this trip! We spend a little time wandering the piers in Newport and stop at the Aquidneck Lobster Company, to check out the lobster tanks. Behind the store is the Lobster bar, and our tummies are craving lobster. We get a seat on the deck with 180-degree views of Newport Harbor. After ordering a couple of cocktails, we decide on the Prix Fix Special for two: Raw platter of Oysters, clams and Shrimp, Steamer Clams and two one and a quarter pound lobsters, we order one steamed and one stuffed and baked. This is a pricey special dinner and we are so not disappointed. The oysters, clams and shrimp are fresh and tasty and the cocktail sauce with a generous splash of horseradish is outstanding. The steamers are in a light broth with onions, and on the side - ramekins of clarified butter for dipping they are sweet and succulent. And then the main event, the LOBSTER… One steamed to perfection and the other baked with scallops and stuffing. These also come with lots of butter. A side of rice pilaf and a Caesar salad complete the meal. It’s a lot of food, but we enjoy every bite! From New Jersey we head northwest making a wide berth around the NYC congestion and stop for the night in the Poconos at the Ironwood Point Recreation Area on the edge of Lake Wallenpaupack. We have a wooded site with a view of the lake through the forest, H2O and electricity. If it weren’t for the rain, the scenery would be spectacular. But since Mother Nature is not smiling at the moment, it’s just another dreary day at the lake. It’s still raining as we head into Connecticut. Here we stay at the Riverdale Farm Campsites. This is a large resort just outside the town of Clinton, along the Hammonasset River with a swimming pond and a lot of activities for families. Our space is over on the quiet side of the park away form all the activity. It’s perfect for our sensibilities with full hook-ups and decent WIFI. The next day the rain has not let up. Not a good day to go to the beach, or take a hike or even sightsee, but it’s a good day to find some Lobster. 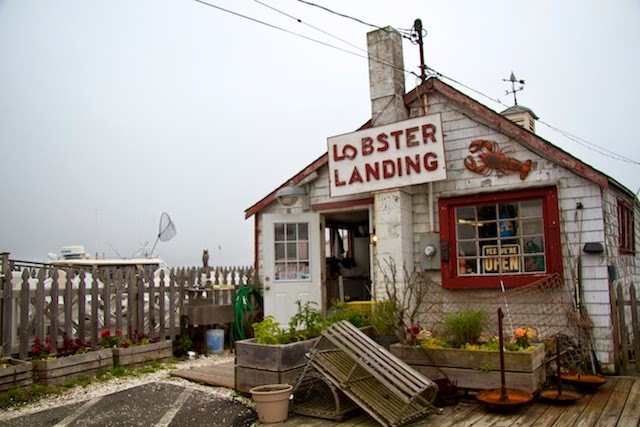 A quick internet search gives us a list from Yankee Magazine of the top twelve lobster shacks in New England, and low and behold Lobster Landing is just down the road WOO HOO! Technically speaking, Lobster Landing isn't even a shack. It’s a ramshackle, 100-year-old, wood-frame shanty by the water selling lobsters, oysters, and steamer clams to take home and cook. The adjacent food trailer sells three items: hot dogs, sausage pepper onion subs and hot lobster rolls plus bags of chips and soda that you fetch yourself from a cooler near the order counter. Seating is in a makeshift dining area on cheap plastic chairs and tables on a broken clamshell deck under a plastic tent. 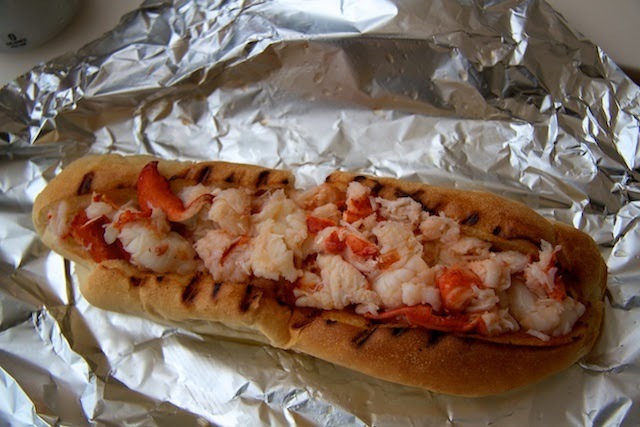 Since it would be sacrilegious to order hot dogs or sausages here, we order up two made to order Hot Lobster rolls. They come in a big submarine bun, the center of which is cut away before toasting, and stuffed with a half pound of butter-dipped claw, knuckle, and tail meat. No mayo here, just Lobsta with butter and a squirt of lemon. Who knew that heaven can be purchased for $15 a roll! The skies final clear and we decide to check out the local’s local attraction. The Essex Steam Train and Riverboat Ride. 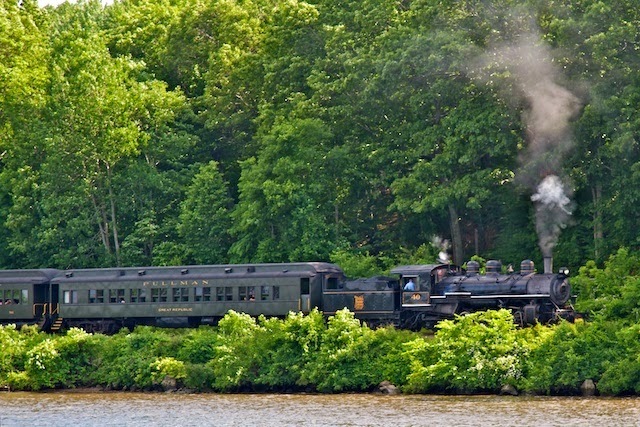 Our 2½-hour journey begins at the historic 1892 Essex Station where we board vintage coaches for a journey into the heart of the Connecticut River Valley. We splurged on first class tickets. (Coach passengers sit on benches and buy candy bars and soft drinks, first class get individual upholstered swivel seats and bar service with vintage cocktails.) Along the way we pass through: quintessential New England towns, pristine meadows, and quaint farmland. We pass a millpond with waterfall, and trestles and bridges over rivers and creeks, along tidal wetlands and natural bird habitats. We see Cormorants, Ducks, Swans, Greenland Geese, Blue Heron, Egrets, Red-winged Blackbirds and a Bald Eagle. 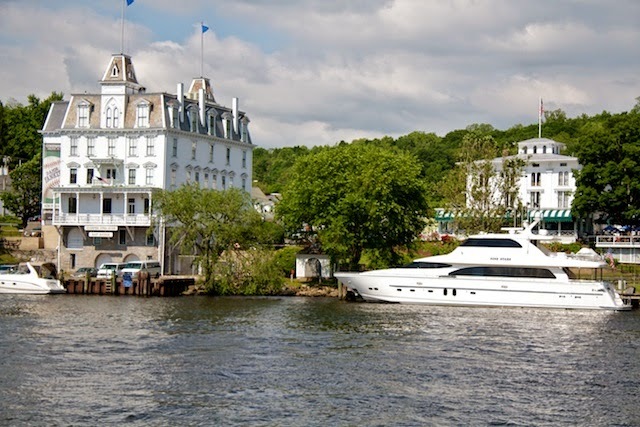 At Deep River Landing, we board the Becky Thatcher riverboat for a cruise upon the Connecticut River. The deep water, coves, inlets, marshes, wildlife, and rocky shoreline are pretty spectacular considering that the river was badly polluted in the mid-20th century, fouled by industrial and sewage wastes. Thanks to the federal Clean Water Act of 1965 pollution entering the river, has been reduced and it’s pollution rating has improved from a “D” (boating but no swimming) to a “B” (boating and swimming.) There are also historic sights including Gillette Castle, Goodspeed Opera House, and the Haddam Swing Bridge. Upon Becky’s return to Deep River Landing, we board the train again for the return trip back to Essex Station. 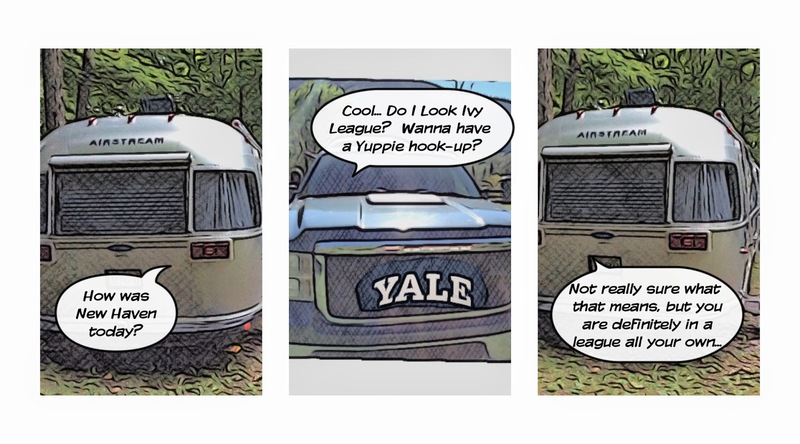 We’re not too far from New Haven, so why not go to Yale? It’s a beautiful campus with old collegiate gothic and modern iconic brick and stone buildings on wide tree-lined streets, fitting for one of our top universities. ThePeabody Museum of Natural History is one of the best we have visited. We are here to see the special exhibit, Tiny Titans. 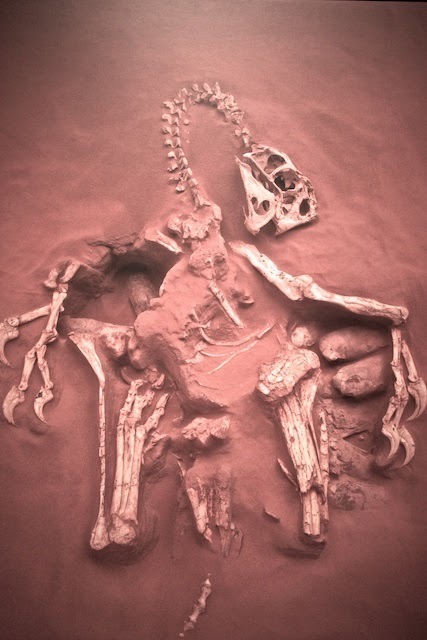 This is the latest in paleontology, fossilized dinosaur eggs, bones of tiny hatchlings and teeny tiny embryos from sites around the world. With hands-on displays, life-like models, stunning artwork, and more than 150 dinosaur eggs on display, Tiny Titans offers a rare and exciting look at the lives of dinosaurs, as well as their living descendants—nope not lizards… it’s birds! There is a second special exhibit with the meteors. A meteorite that has been identified as a fragment of the planet Mercury that traveled to Earth after an impact on Mercury’s surface blasted the stone into space. Yes we have now seen a bit-o-Mercury up close and personal! In the permanent exhibits, The Great hall of Dinosaurs with the Age of Reptiles Mural, has iconic dinosaur skeletons, the Riddle of Human Origins exhibit has brass replicas of early humanoid skulls mounted next to replicas of modern human skulls that you can touch and feel the difference between our ancestors and us. The Hall of Mammals features their evolution. 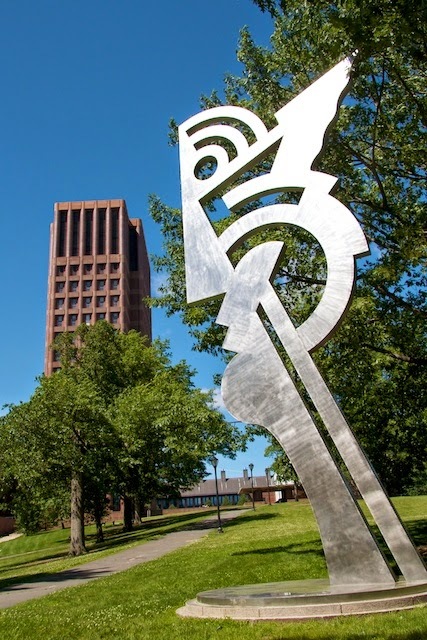 There are also Connecticut specific exhibits of native birds, minerals, plants and vertebrates and Native Americans. And to round everything out they have Egyptian mummies and artifacts. 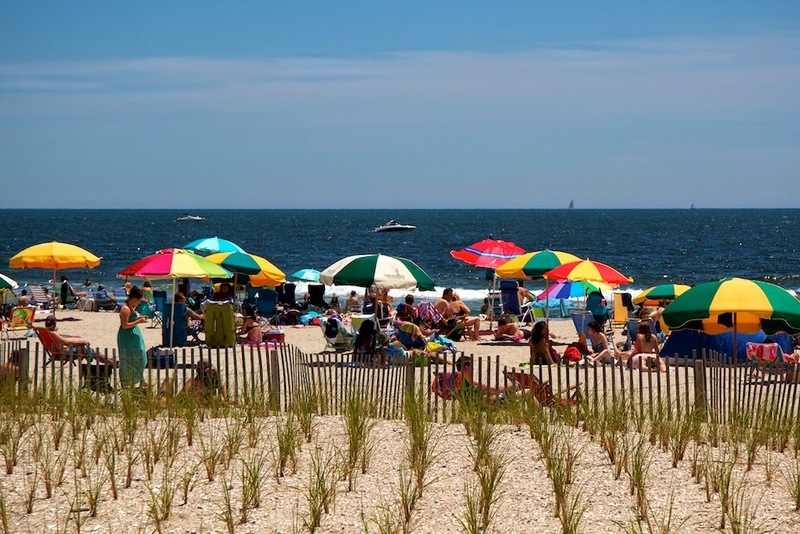 IT'S NOT THE BEACH… IT'S THE SHORE! 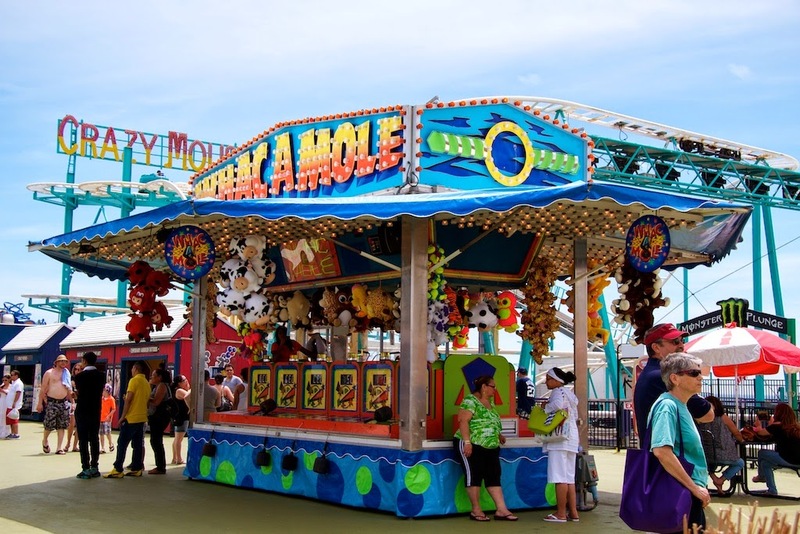 The closest RV Park to Atlantic City is the Carefree Shady Acres Resort. It’s located in a nice neighborhood of Absecon where everything is very green. Good WIFI, clean laundry room and decent spaces make this a great place to call home while we visit the Jersey Shore. As we finish setting up, we meet a couple from the area. They give us the 411 on the best local pizza and market for Italian sausage. Italian Grill. There are only a few patrons here when we arrive and we get a nice quiet table in the back room. We ask about some wine with dinner, but our hostess/waitress, who is also the wife of the owner, informs us that they do not sell any alcohol, but you can BYOB and there is a liquor store just down the street. Well, we’re hungry and can pass on an adult beverage. We order a garden salad to share and two individual pizzas. The salad is generous and their homemade creamy Dijon dressing is well balanced and zesty. 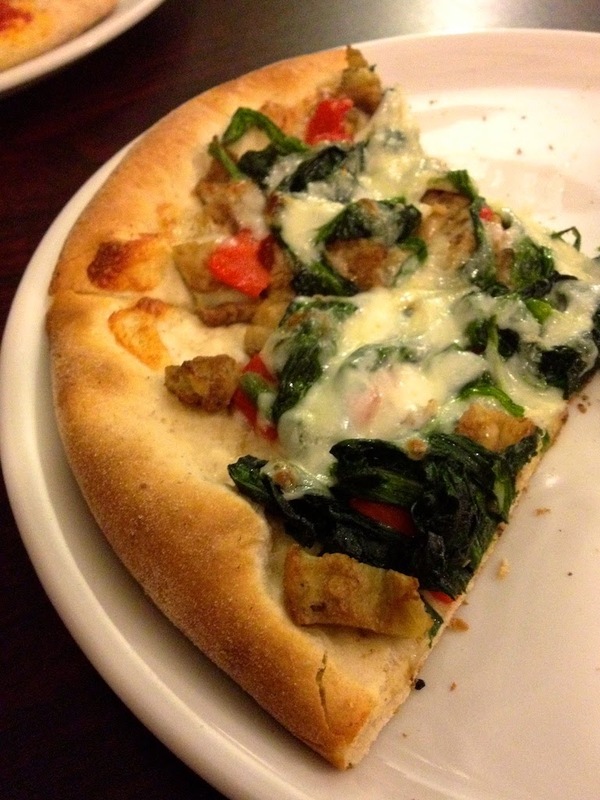 We choose the Meat Lover’s Pizza with bacon, pepperoni, sausage and meatballs and a vegetarian white pie - The Autunno, with eggplant, spinach, roasted peppers, Romano cheese, garlic and olive oil. All of the toppings are fresh and full of flavor, but for us, the sign of a great pizza is the crust, thin and tender, not tough or doughy and Calabria knocks it out of the park. Big plus – they deliver. A few days later we call and order the Veal Parmigianino, (tender lightly breaded veal with a wonderful tomato sauce and lots of melted mozzarella, and a side of Penne pasta with meat sauce yum!) Our second dish is the Gnocchi with vodka sauce. We pair this with a bottle of Terra De Oro Zinfandel, from Amador County that we picked up last week in York PA. For desert we have a cannoli how perfect is this? You can’t go to Atlantic City and not drop a few coins into the one-armed bandits. It’s common knowledge that the slots in A.C. are some of the tightest in the nation. This may be true, but the casino gods smile on us and we leave the Borgata with a few more dollars in our pockets. Warm weather and sunny skies have us going to the shore. We drive the coastal route heading south Ocean City, we stroll along the boardwalk. To access the beach one needs a beach tag that costs $5 per person and there is no alcohol available anywhere within the city limits. This has been a dry town since the 1800s… no wonder it’s quiet here. Further down the coast picturesque Cape May holds the distinction of being the oldest seashore resort in the United States and one of the most unique. 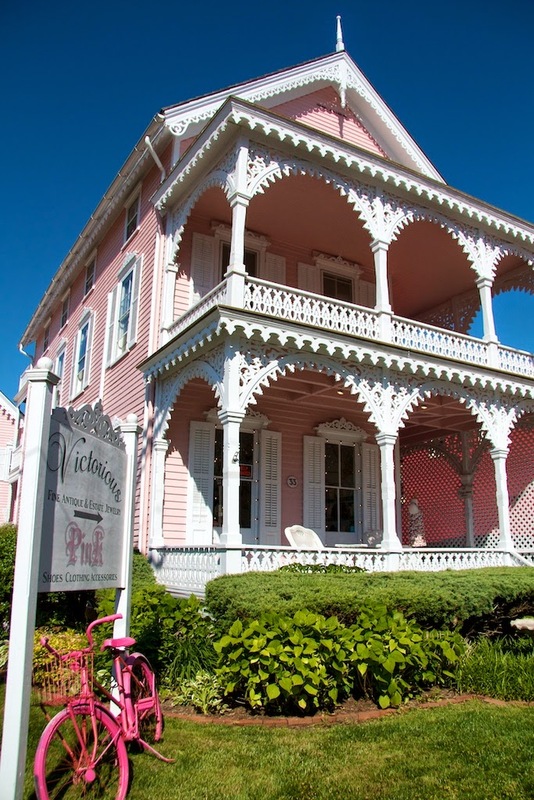 The streets are lined with painted lady gingerbread Victorians. It is also world famous for the observation of migrating birds in the fall and the top bird watching area of the Northeastern United States. We arrive at the Cape May lighthouse at closing time so we cannot climb to the top, but we are able to check out the bird observatory and watch osprey, swans, egrets and other water loving fowl. 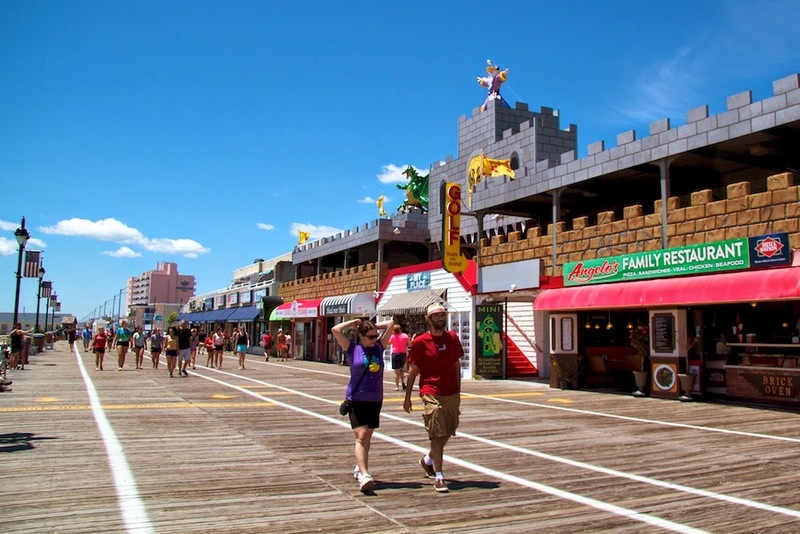 Atlantic City boasts a four mile of boardwalk, (the longest in the world.) An interesting Sunday afternoon observation: Caesars Casino has The Pier; four stories of luxury shops over the water. Down the boardwalk is the Trump Taj Mahal Casino with the adjacent Steel Pier Amusement Park with some unique rides and lots of carnival games. Both of these ventures must be expensive to maintain but there is a distinct lack of customers here. 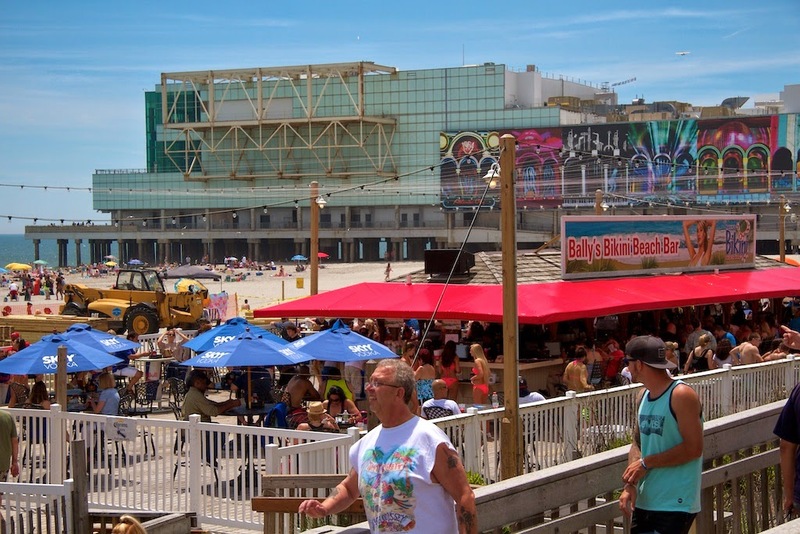 Between these two icons is Bally’s Bikini Beach Bar; a simple structure on the beach with a big sound system and bikini clad servers… IT'S PACKED! 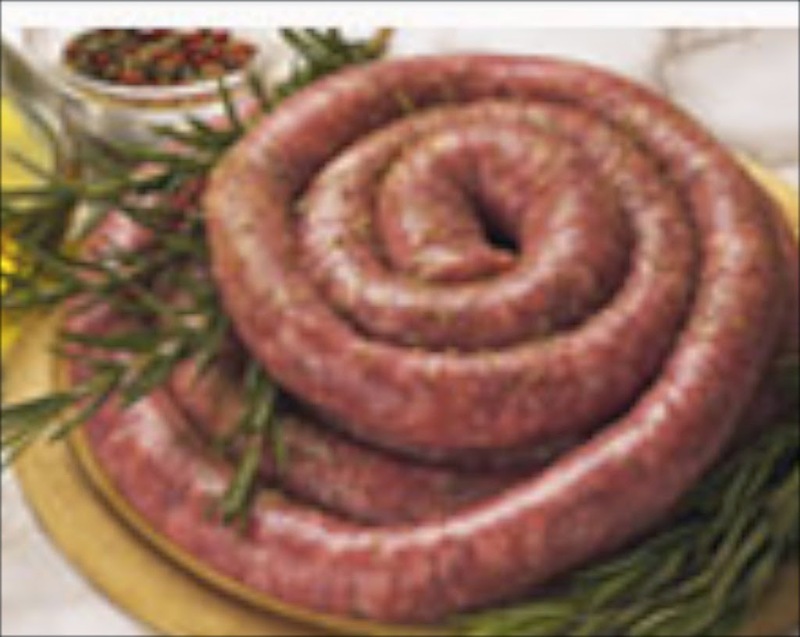 their award winning sausage. The market is small but they have an amazing variety of artisanal cheeses, beautiful produce, imported pastas and a great butcher shop. So many choices… We end up with Sweet and Hot sausage, Provolone, Pecorino, and wine soaked asiago cheeses, some pasta and fresh produce. For dinner: grilled sweet sausage with roasted peppers and Pecorino cheese on toasted rolls and fresh corn on the cob… Italian Sausage will never be the same. Fortunately we have a few pounds in the freezer and when that runs out we can call and have some shipped anywhere in the U.S. Heading north we stop at the Ben Franklin RV Resort in York, PA. It’s an older park in the process of converting from a trailer park. The spaces are grassy, there’s noise from the freeway and the WIFI is adequate for minor use. The owner Ben is a great ambassador for the area and he is quick to inform us of all the attractions in the area. This is a beautiful part of the country and we really enjoy our visit here. 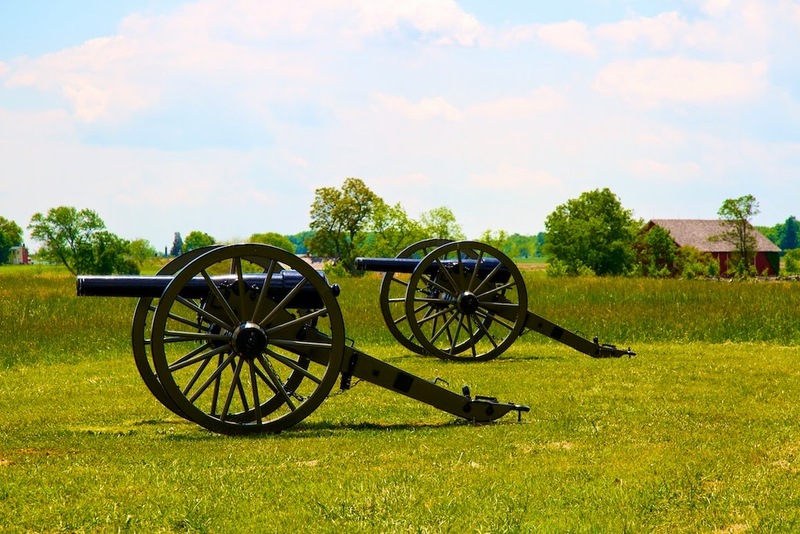 Our first trip out is to visit Gettysburg. Touring the battle site can be done by tour bus (not our style), private tour guide (none available) or using a CD to describe the site while following the auto tour signs. This seems to be our best option, so we purchase the most comprehensive 150-year anniversary edition CD that follows the battle time line and start out. This is a perfect way to tour the battlefield. We drive at our pace and we get a pretty thorough understanding of the battle, the distances involved and the horrendous loss of lives. It’s sobering to walk the battlefields and imagine the carnage of the past. On our way back we stop in the town of Gettysburg at the Garryowen Irish Pub. How can you go wrong with 56 brands of Irish Whiskeys and traditional pub food? After a couple of shots of Jameson we dine on fresh Oysters on the Half Shell, Garden Salads, Yummy Guinness Beef Stew, and a Mixed Grill of Bangers, Bacon, Pork and Sausages. 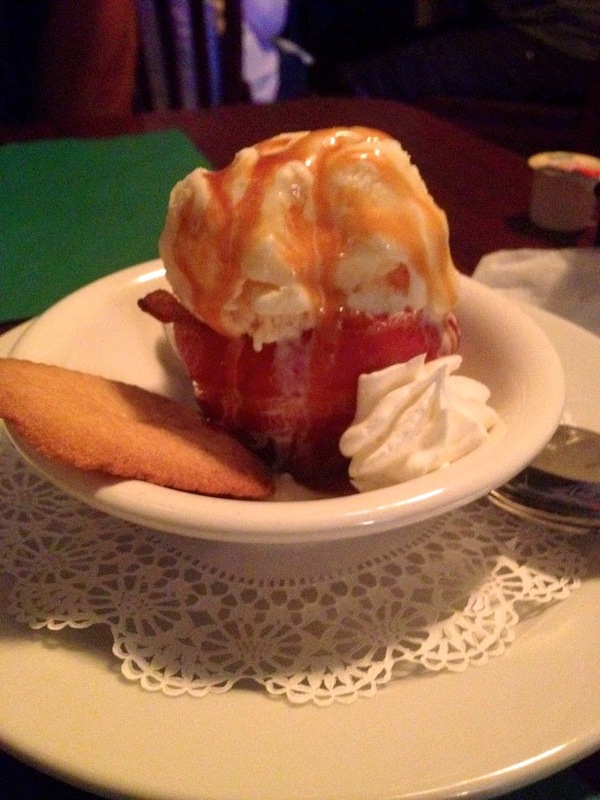 For desert we indulge in the Soda Bread Pudding and the Maple Ice Cream served in a Bacon Cup. (Yum Bacon!) Our server is fun, the food outstanding and there’s live music filtering down from upstairs. Too bad we're not staying closer, every Tuesday they have 'Bacon Night" featuring bacon dishes and bacon cocktails. A true gem in the area! In York we stop at the Central Market. 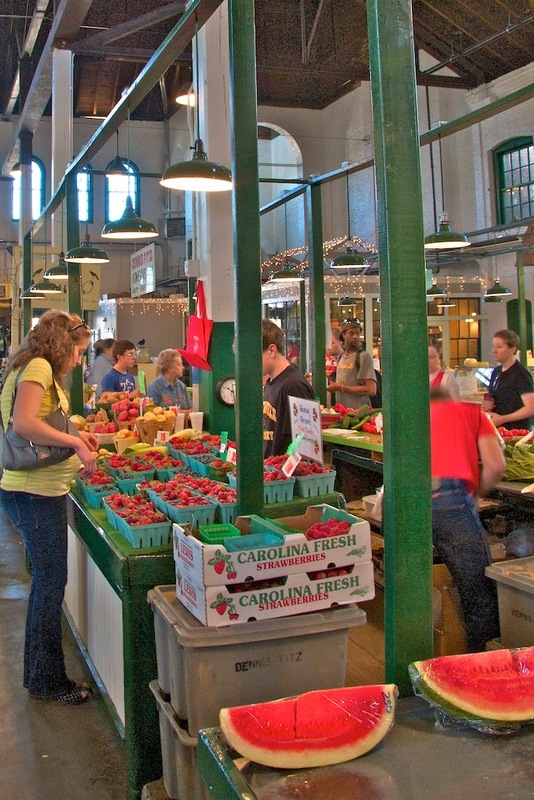 This farmer’s market has been in continuous operation three days a week since 1888. There are a lot of food vendors but there is also fresh produce, organic local meats and dairy products. So, we fill our fridge and freezer with a selection of these. This area of Pennsylvania is known as the factory tour capital of the world… so a touring we will go. 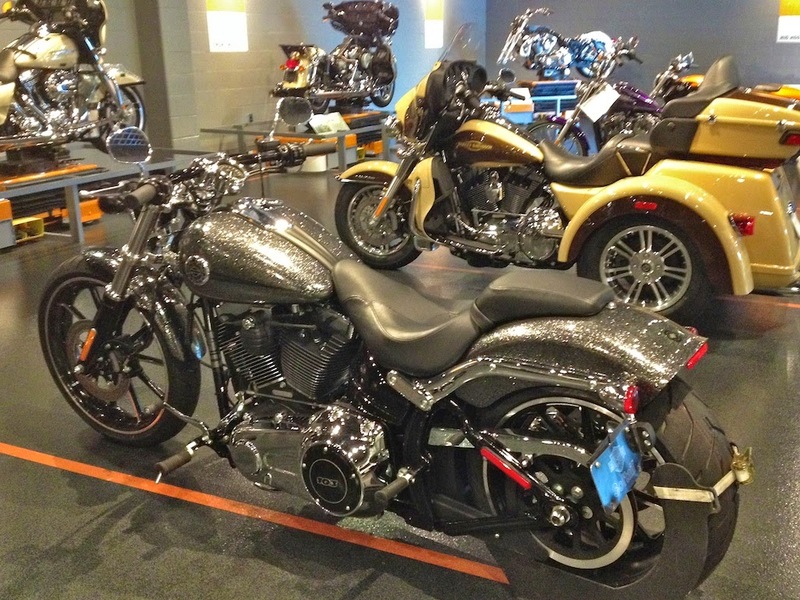 First stop the Harley Davidson factory, where we tour the plant. After s short introductory film, we enter the plant to see gas tanks and fenders being fabricated and the assembly line where the Touring, Softail®, CVO™ and Trike models are built. They provide wireless headsets so we can hear the tour guide over the noise of the factory. It’s informational, fun and best of all FREE! 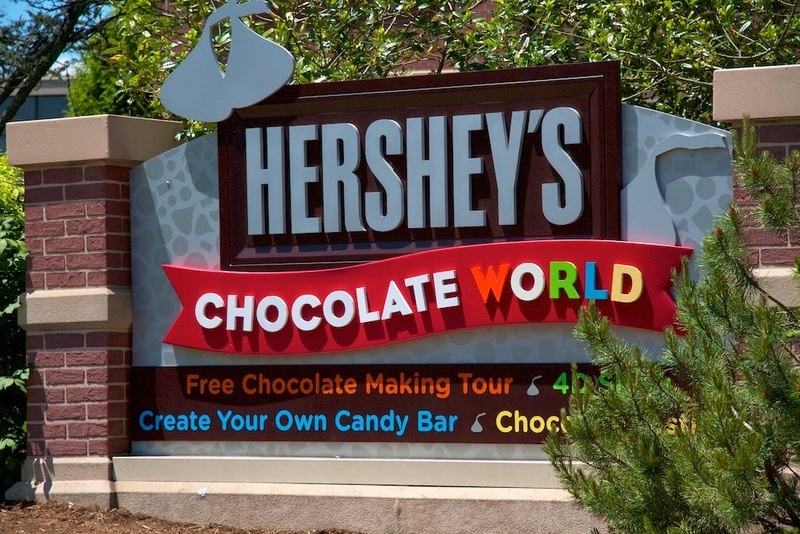 No trip to the area would be complete without a stop in Hershey. At Chocolate World, we take the free tour, not a real factory tour, but a simulation complete with singing cows. There is a trolley tour of the town. It’s corny and fun and gives a bit more insight into the inventor of Hershey’s famous chocolate and the town. Most impressive is the Milton Hershey School; a cost-free, private, coeducational home and school for children from families of low income, limited resources, and social need, funded by a trust set up by Milton Hershey and his wife Catherine. We sign up for the Chocolate Tasting Adventure. We lean about coco production and then look, listen, smell and taste five varieties of Hershey’s chocolate. Upon completion we are awarded a Master’s Degree in Chocolate Tasting from Hershey’s University. Love that higher education especially when it involves chocolate! And, the best of all, in the Hershey's store you get the absolute freshest candies you've ever tasted! 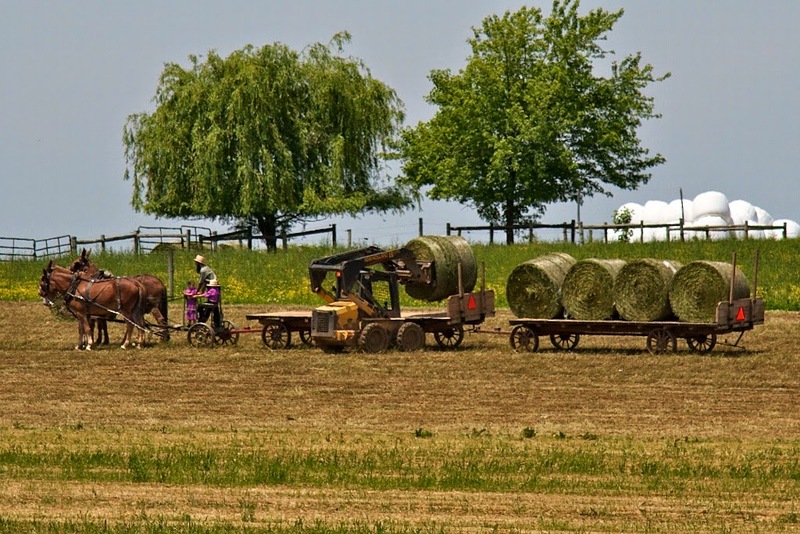 Nearby Lancaster County is home to Amish and Mennonite farms. We drive through the countryside past fields being tilled by teams of horses, share the road with horse drawn buggies and see folks on old fashioned bicycles peddling about. Their clothes are plain, their demeanor serious, they are self-sufficient and their pockets full of cash. It’s easy to over romanticize this lifestyle, but like all communities there is a dark-side, an internet search turns up incidents of physical and sexual abuse, genetic disorders stemming from a closed community, puppy mills and lets not forget the Discovery Channel’s Amish Mafia. Over in Hanover, we visit the Revonah Pretzel Factory. When we arrive the tour guide is not available, but we are invited into the workroom where they are rolling and hand twisting a batch of hemp pretzels. (Hempzels.) We get to taste some of the garlic hemp dough and watch them dip the pretzels in a soda solution and place them in the 1930’s era oven. They have been making pretzels like this for 150 years and their soft pretzels are the official pretzels of the Pittsburg Steelers. In contrast the Utz chip factory is a vision of stainless steel automation.The self-guided tour takes us along a glass-enclosed walkway above the factory floor. 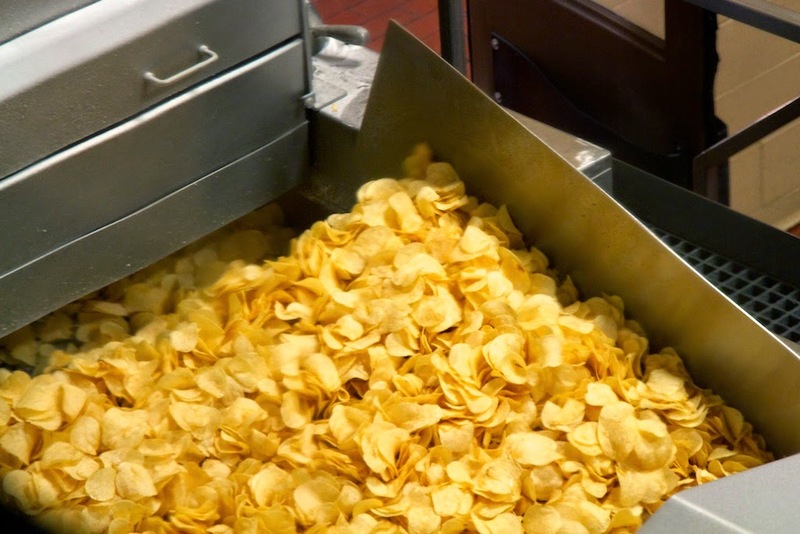 Tons of potatoes (literally) are poured into bins, they are sorted, washed, peeled, sliced, fried, seasoned, cooled, bagged in nitrogen infused packaging, boxed and loaded onto Utz trucks for delivery around the Mid Atlantic States. At the end of the tour we get a bag of chips… yep it’s all that and a bag of chips. (Sorry couldn’t resist.) Then we head over to their outlet center to pick up some snacks and try some ‘new flavors’ the bacon horseradish chip is interesting – love the bacon flavor, but it’s a little heavy on the horseradish. Next it’s onto Philadelphia. We stay at the Timberlane Campground, in Clarksboro NJ. It’s the closest RV Park to Philly and it has killer WIFI! It only takes us a half hour to drive across the Ben Franklin Bridge into the City. First stop is the Independence National Historic Park where we check out the displays and view the Liberty Bell. Tours of Independence Hall have sold out so we just enjoy the park for a bit and then head over to the Reading Terminal Market. The market is a giant food court and farmer’s market. No Chain or franchises here, just local foodstuffs. We grab a Cheesesteak sandwich at Carmens. Not the best we’ve ever had… actually pretty disappointing. We pick up a few bottles of gourmet olive oils and call it a day. Not really into the big city crappy traffic experience today, but it’s been fun.